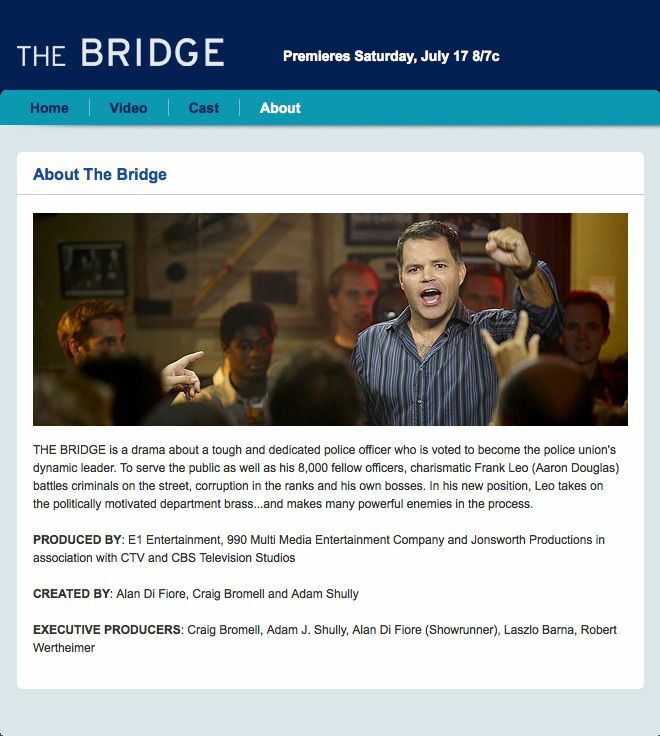 CBS have FINALLY updated the website page they have for THE BRIDGE. The mistake is not on the HOME page. But it’s on the CAST page (and the 7 individual Cast Bios) and on the VIDEO and ABOUT pages. UPDATE: Fixed now. But only because Aaron alerted them to the typo.